The City of Lebanon held a ribbon cutting ceremony for the new Aviation Way, sponsored by BankTennessee conducted by the Lebanon Wilson County Chamber of Commerce on July 23rd at 11:00 a.m.
City of Lebanon Mayor Bernie Ash welcomed and thanked those in attendance as well as the individuals that helped the road’s development. Mayor Ash was joined by many members of the community along with Lebanon Wilson County Chamber of Commerce Chairman of the Board J.B. Owens, Chamber President Melanie Minter and Ambassadors and Staff. Aviation Way in a new road that connects the Lebanon Municipal Airport with South Hartmann Drive. 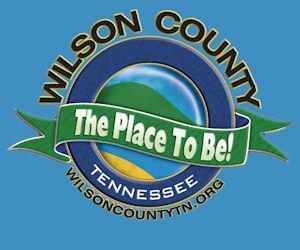 The road is located next to Wilson County Motors.